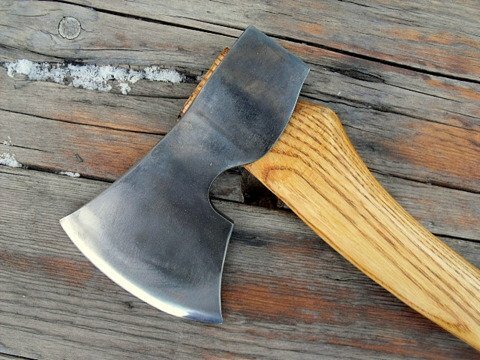 Custom-axe, Hand forged Scandinavian style axe. Dimensions: Head overall 6 5/8" - Cutting edge 4 1/2" wide. 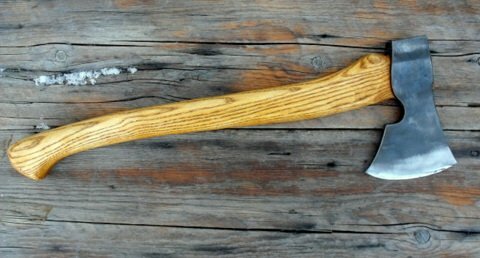 Handle: Ash, 19 1/2" long. Steel: 1018 and 1084 high carbon. Weight: 41oz. overall with haft. 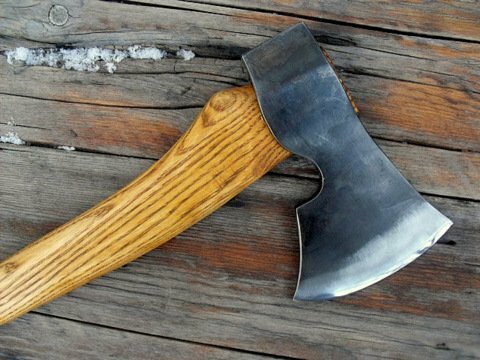 Functional as well as beautiful. 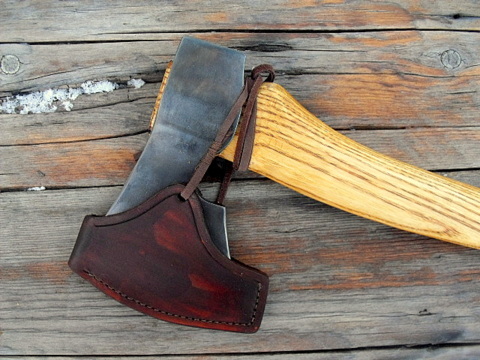 Great for that long trek and for many jobs around the camp. 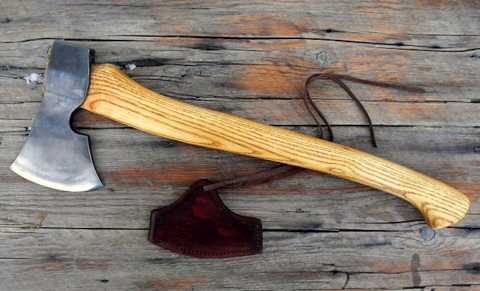 Also great as a bushcraft axe.